I know that "What is a priest's day like" is a topic of interest to probably a very small number of people. Even smaller in number are the people who are interested in what this priest's day was like. But, today was a particularly happy day for me. This morning I woke up and prayed. This alone is a privilege. Sometimes we can treat prayer as though it were an inconvenience or a burden. But, when I'm thinking clearly, I realize that prayer is such an awesome gift. There are people who never pray. Maybe no one ever taught them or they don't even know anything about God. There are other people who wake up in the morning and have babies crying or they have to get breakfast ready for their children. They don't have the privilege of praying first thing in the morning. The best that they can do is squeeze in a brief prayer when they awake. There are other people who are in hospitals or nursing homes. Among them, some are too weary to pray and others have perhaps forgotten how to pray. But, I have the capacity, the knowledge, and the freedom to pray when I wake up. How privileged am I? Having finished prayer and driven to work, I spent a good amount of time talking to our Office Manager, Fran (a model of charity). On my way up, upstairs to pray a Holy Hour, I ran into a student. I asked him, "What's going on?" He mentioned something about his life and said, "So, I'm going upstairs to the chapel to pray." When we got there, there was already another student there praying. It is a privilege to see young people praying. During my prayer time, I was struck by the intensity of this young man's prayer. Kneeling, eyes closed, still as can be. It was moving to me. Soon, the three of us who were there were joined by two or three others. During the Holy Hour, I was reading a little bit from a great spiritual book and the author was speaking about the active purification of the memory. His point was basically that we often allow our memory to be filled with things that hinder us from growing in the spiritual life. We remember our past sins and the ways that others have hurt us. These memories can often lead us to a forgetfulness of God. The author says that the way to purify the memory is continuously to call to mind the great things that God has done, most especially to ponder the Eucharist. It's a blessing that I have the opportunity to spend this hour with God and to read such holy things. After Holy Hour, we had Mass. For some reason or another, today was one of those days that I wished Mass could just continue forever. I was in the zone. After Mass, one of the students and I had lunch together. I'm blessed that my congregation lives, eats, works, and prays in the same place. I see a lot of them every day and not just once a week. We live the life of a strong Catholic community, sharing not only the sacraments together, but life in all of its aspects. When I returned from lunch, I checked my email and found an unexpected and beautiful email from a former parishioner of mine. I've been blessed along the way that lay people have really encouraged me in my priestly life. Her email reminded me of how blessed I am to be a priest, to live a closeness with lay people, and to have the joy of sharing the Word. I took an hour's nap. (I gave up feeling guilty about taking a little nap a long time ago)! This evening, a young priest--Fr. Tom MacDonald--came and gave a talk to the students on how to discern your vocation. Although I knew that he would do a great job, I was really struck by how excellent it was. The students loved it. Their questions were wonderful and Fr. Tom did a great job responding to their questions. My heart really was filled with a certain pride because this priest who is a friend of mine was giving such an awesome presentation and because the students were so engaging and articulate in their questioning. It was beautiful to witness this. At the end of the evening, as all of us were just conversing, I was also struck by the two Jesuit seminarians who work with us at the Catholic Center. These two guys are really solid and I have really come to appreciate their spirituality, generosity, presence, and friendship. On my way home, I drove two of our FOCUS Missionaries home and enjoyed giving one of them a hard time. Some day, when she's in heaven and I am still in Purgatory (I hope), she will have the last laugh. As I was pulling into my driveway, I received a text from one of the students. 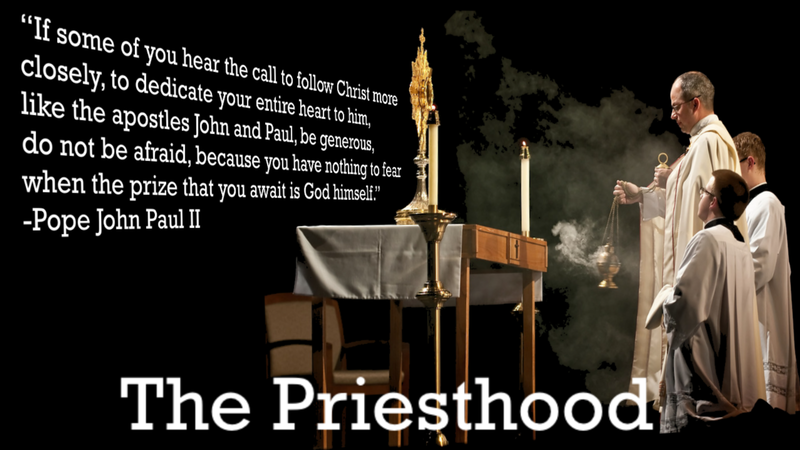 The text reminded me again of what an awesome privilege it is to be a priest. Who am I? God places three very beautiful gifts into the hands of a priest. He places his Word, His Body and Blood, and His People. I have the privilege of spending my whole life holding these three gifts. There's an intimacy that develops between the priest and these gifts. The more this intimacy grows, the more unworthy of it you feel. To be chosen by God to hold these sacred treasures is a cause for pure wonderment. Paradoxically, the more this intimacy increases, the more incomprehensible the whole thing becomes. It is nearly impossible to believe that tomorrow I could feel any less worthy of this vocation or any more filled with wonder by it. But, this is the nature of Divine Love. When it manifests itself, we are filled with wonder and humility before it. I suppose that this is a foretaste of what heaven must be like. The saints must gaze upon the Blessed Trinity and wonder, "How is it possible that I am here?" For me, this is what priesthood is like. How is it possible that God loves me this much to place into my hands, His Word, His Body and Blood, and His people? Mr. Michael Lavigne who is the Director of Lifelong Formation and Parish Support for the Archdiocese of Boston gave four excellent talks and was loved by the students. For me, the two most outstanding things about Michael is 1. He's a believer and 2. He's a husband and father of seven children. It's great to have lay people like Michael working at the Archdiocese of Boston. Bobby LeBlanc, one of our interns (and a BU Catholic Center alumnus) kept the whole retreat organized. Need an answer? Ask Bobby. Need something done? Bobby already did it. Bobby has volunteered here for the past two years and it kills me that the BU Catholic Center doesn't have the funds to pay him a salary to keep him here. If you're a pastor looking for someone to work in your parish, I'd steal Bobby in a heartbeat. Or, if you're a wealthy person who wants to give me money to keep him at BU, even better!!! Danny and Camille are a young married couple who are also alumni of the BU Catholic Center. They play music here, direct the RCIA, and help out in a thousand different ways. They led the music for the retreat. It's pretty impressive to see the music program they pull together for the retreat. (And, after a very long weekend, they're downstairs right now teaching RCIA). We have two Jesuit scholastics working with us this year, one of whom is a transitional deacon. Besides assisting in the liturgies, they spent most of the weekend slaving away in the kitchen cooking meals, preparing food, and cleaning dishes. Fran, our Office Manager, does everything. She was head chef for the weekend. Along with her friend Dolores, Fran kept us alive. Cooking for approximately 70 people for an entire weekend, is a big task. They are awesome and generous. Our FOCUS Missionaries also helped man the kitchen, provide spiritual support to the students, and help us with logistical needs. Wesley, one of our missionaries gave a wonderful witness talk during the retreat. Some priests made a long trip up to hear confessions for everyone on retreat. While some students were running the retreat, they all participated in the retreat. I was struck--yet again--by the way in which the people in this community help one another to follow Christ, to pray with one another, and to love and encourage one another. I often say that I am clearly the beneficiary of those who were here on staff before me. Over the years, the BU Catholic Center has had some people who really knew what they were doing when it came to Campus Ministry. I am totally indebted to them. If I forgot anyone . . . remember, I'm wiped out! Sorry! I need to be surrounded by witnesses. I look at all of these people and am grateful for the opportunity to see the Church at her best. Today's reading from the Prophet Isaiah is tough. It gets to the heart of the matter. It literally gets to the heart. These prophets had it tough! God commands Isaiah to go tell the people of their wickedness. And, God doesn't say, "Go and try to persuade my people that they really ought to try harder." He says, "Cry out full-throated and unsparingly." God means business! And what exactly seems to be the problem? The Lord says that on these fast days, "you carry out your own pursuits." It's as though the people are doing all of the external things, but these things are not changing their hearts. They are concerned about appearing to be fasting, but they are completely blind to the suffering of those around them. Surrounding them are the hungry, the oppressed, the homeless, the naked, and those bound unjustly. Those who are fasting have reduced their actions merely to external appearances. Our fasting, works of penance, and prayer are only acceptable if they open our hearts and our eyes to those in need. Today, we will all encounter persons who are in need. The question is whether we will see them or not? Will we recognize their need and be moved to alleviate their suffering? Fasting and prayer are vital to the Christian life, but only if they open our hearts and eyes. Today is D-Day Plus Two (Ash Wednesday Plus Two). It is already a good moment to step back and ask ourselves about Lent: Will I carry out my own pursuits today or will I do the work of the Kingdom? May our fasting and prayer today not lead us toward a stagnant, self-congratulatory satisfaction with the appearance of a good fast day. Instead--by the grace of Christ--may our eyes and hearts recognize the material and spiritual needs of others and respond in kind. This afternoon the BU Catholic Center leaves for a retreat weekend. Our retreat director is Mr. Michael Lavigne, the Director of Lifelong Formation and Parish Support for the Archdiocese of Boston. Please pray for him, for the students, and for the staff. These retreats are primarily organized and run by the students, and they've been working for months putting it all together. May the Lord touch all of our hearts so that we might proclaim Him with our lives. 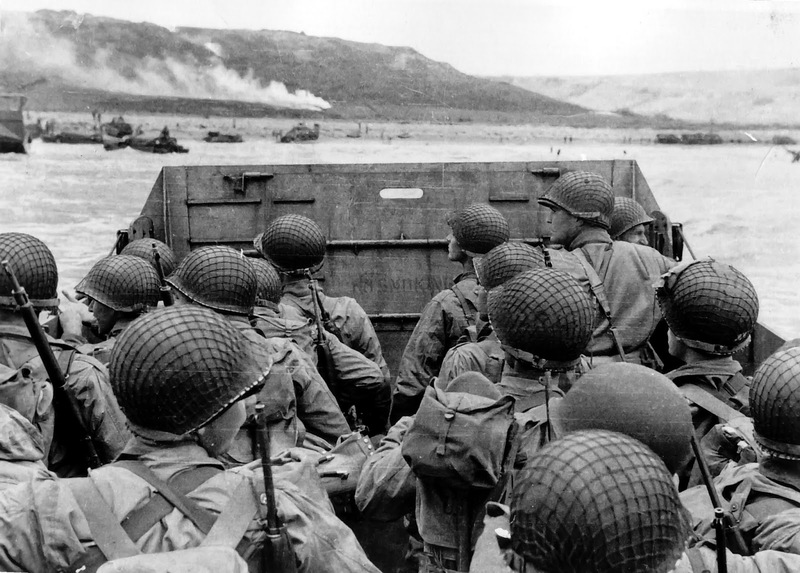 D-Day Plus One: What Are You Prepared to Do About Sin? 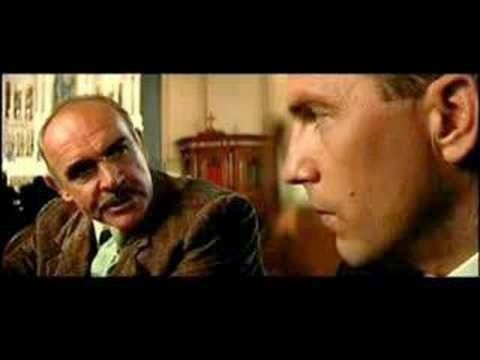 There's a great scene in the movie, "The Untouchables" when Elliot Ness (played by Kevin Costner) is talking to an old time Irish Chicago cop (played by Sean Connery). Costner has been trying to convince Connery to join him in the fight against Al Capone. The two of them meet in a church and Sean Connery says, "So you said you want to know how to get Capone. Do you really want to get him? See what I'm saying? What are you prepared to do?" After Costner says that he's prepared to do everything within the law, Connery tells him that's not enough. He says, "You must be prepared to go all the way because they won't give up the fight until one of you is dead." During the past few days, I've been reading through a great spiritual classic and I've noticed a recurring theme. As the author discusses various capital sins--pride, lust, envy, sloth, avarice, gluttony, and anger, he continuously states that these things do not need to be moderated. They need to be mortified. Sometimes in our spiritual lives, we think that we can go halfway, that we can negotiate with our vices. We think becoming less prideful, less lustful, or less envious will be enough. We try, in a sense, to make a friend out of our vices. In the words of Sean Connery, when it comes to our vices, "You must be prepared to go all the way because they won't give up the fight until one of you is dead." In the first reading today--the Thursday after Ash Wednesday--Moses says to the people, "I have set before you today life and death." He does not mention a third option. There is no negotiating a settlement where the people can opt for 2/3's virtue and 1/3rd vice. It is life or death. A blessing or a curse. There is something frightening about this. It sounds so "all or nothing." It sounds that way because that's exactly how it is. Imagine if your future spouse said to you, "I want to marry you and it is my intention to be 85% faithful to you." That's not what you'd want to hear. In a similar way, when we approach our relationship with God, we want to strive towards giving him our entire heart. Sure, we might fail. But, we have to want to begin with a desire to be completely faithful. We don't want to say to God, "I intend to be 85% faithful to you." In today's Gospel, Jesus says, "For whoever wishes to save his life will lose it, but whoever lose his life for my sake will save it. What profit is there for one to gain the whole world yet lose or forfeit himself?" In other words, if we desire to save our sins--hang on to them, keep them, try to make friends with them, negotiate for their safe-keeping, we will lose our life. But, if we put those things to death by taking up our cross and mortifying ourselves, then we will save our life. We have to die to ourselves. If we are attentive during this Lent, we might discover that those capital vices of pride, avarice, anger, lust, gluttony, sloth, and envy are at work in us more than we thought. And, if we try to fight them, they will hit back hard. We shouldn't get discouraged. We do not fight alone. As today's psalm reminds us, "Blessed are they who hope in the Lord." Sometimes, when we fight these vices, we might actually feel like we are in a battle to the death. That's because we are. We are putting the old man to death and putting on the new man who is Christ Jesus. But, we do not fight this battle on our own. We fight it in and through Christ. "Blessed are they who hope in the Lord." So, there it is. Today--not tomorrow, not next week, not next Lent, not some day when I'm ninety--no, today there is placed before us life and death, a blessing and a curse. We cannot put on the new man without putting to death the old man. There's no compromise. Do you want to live the new life of Christ Jesus? Then you have to go after the vices. But, make no mistake about it, "You must be prepared to go all the way because they won't give up the fight until one of you is dead." When I woke up this morning and prayed the psalms for the Office of Readings for Ash Wednesday, I was struck by a line from Psalm 103. One of the great things about the scriptures is that you can read the same line hundreds of times in the course of your life and suddenly feel like you've read it for the first time. While I was praying, I was thinking about various persons that I know and their struggles. In the midst of that, I came across the verse that stopped me in my tracks. "He does not treat us according to our sins nor repay us according to our faults." A few lines later, it says, "For He knows of what we are made, he remembers that we are dust." On this day when we are signed with ashes and told to "remember you are dust and unto dust you shall return," the psalms remind us that God knows we are dust. This line struck me as beautifully merciful. In the reading today from the Prophet Joel, God begs us to return to Him. He's the one who has been rejected. We should be begging Him to take us back. But, He puts himself in the position of begging us! "Return to me!" He doesn't need us, but He begs us to come back to Him. He was the abandoned spouse, but instead of rejecting us because of our poor treatment of Him, He lowers Himself to be a beggar: "Return to me!" He remembers that we are dust. He does not deal with us according to our sins nor repay us according to our faults! The Lord gives us the season of Lent so that we can return to Him, so that we can love Him again. There is a way to fix things! This way is the way of penance. It is the way of fasting, prayer, and works of mercy. It is the Way of the Cross. Is it a difficult way? Yes. But it is a way! Far worse for us would be for God to repay us according to our faults, to deal with us according to our sins. God could say to us, "You rejected me. Now deal with the consequences." But that is not what happens. He begs us to come back. There are so many people who live as though their sin is the final word on their life. They live as though there's nothing left for them to do. Today, God stands before us and--to our amazement--asks us to come back to Him. God wants us! It's ridiculous, but it's true. God does not want to deal with us according to our sins or repay us according to our faults. He wants us to be with Him. Today, it was beautiful to look out at Mass and see so many college students. 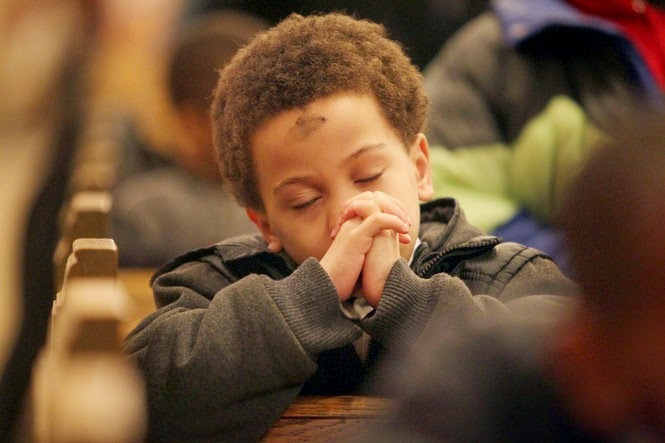 Ash Wednesday is the first day of Lent and the ashes aren't magic ashes. They don't magically turn us into people who now love God with all of our heart, mind, soul, and strength. The ashes are only a sign of our need to do penance. I like to think of Ash Wednesday as D-Day. We've hit the beach and done some praying, fasting, and acts of mercy. But, the allies didn't win the war on D-Day. The next day was D-Day plus one, then D-Day plus two, and so on. Ash Wednesday is the beginning of Lent, not the end. The next day is Ash Wednesday plus one. We have to remain steadfast and strong all the way to Ash Wednesday plus forty! This is a time for us--day by day--to accept God's invitation to "return to me." We've landed on the beach. We've begun the campaign, but the war isn't over. We've turned away from God and rejected Him, but He does not deal with us according to our sins or repay us according to our faults. He knows that we are but dust! In the face of this Divine Mercy, let's return to Him through a campaign of spiritual discipline. Our reward is nothing less than God Himself. D-Day is over. Time for Ash Wednesday Plus One. Last night during adoration, I was reading through a spiritual classic and the author was discussing why we need to practice mortification. If I had any doubts that I should be taking Lent seriously this year, the reading solved that. At one point, the author quotes The Imitation of Christ stating, "Nature proposes self as her end, but grace does all things purely out of love for God." These words really struck me. Among other things, mortification assists us to live life purely out of love for God rather than seeking merely natural ends. We are made for a supernatural end, but our inclination is to settle for less. Mortification helps us to live for more. As I read those words last night, I thought, "I need a LOT of mortification." Too easily, I settle for less than the grandeur for which I was created. Between the place where I stand right now and living "purely for the love of God," there is quite a chasm! Lent is given to us so that--by God's grace--we can narrow the gap between where we are and where He calls us to be. On this Tuesday before Ash Wednesday, I am filled with a mixture of emotions. I am like a man on the eve of battle. Part of me wants to jump in, storm the beachhead, and engage the battle. But, part of me is a little nervous about the enemies and their strength. Of course, one enemy is our ancient foe, the Prince of Darkness and the Father of Lies. Another enemy is the world and it's seductive allure. But, probably my most lethal enemy is me! I carry within myself a soldier who is prone towards being derelict in his duties. In the face of even the slightest opposition, he's prone to retreat and surrender. It wouldn't take 30 pieces of silver for this soldier to become a betrayer. No, just a little bit of hunger, some minor inconvenience, some small suffering, or the promise of some transient pleasure and this soldier is all too willing to betray his supernatural end. Of course, all of this just proves the point that I need Lent. I need this time of mortification so that I can bridge the gap that exists between my supernatural destiny of loving God purely and the place where I am now. Although I might be my worst enemy, God has not abandoned me to myself. If I were heading out onto that battlefield alone, I might as well just stay home. But, Lent is lived together. When we go out into the battlefield of the desert, we discover that Christ is already there. We live Lent united to Christ. He strengthens us especially through the Sacraments and His Word. Additionally, we live this Lent with our brothers and sisters. We are not the most organized, efficient, or well-trained fighting force. We are all showing up for this battle a little ill-prepared and weak. But, we are in this together. 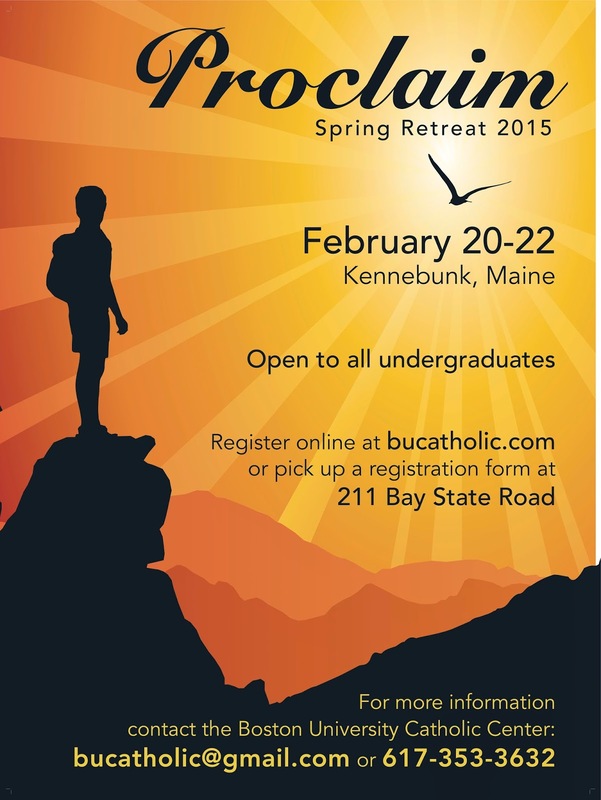 I will be living this Lent in the company of the BU Catholic Center students and staff. For me, it is a source of encouragement to be surrounded by others--especially these young men and women--who are striving to live their life purely for the love of God. We will pray for each other, encourage one another, and pick one another up along the way. We are in this together and there is strength in numbers. The landing craft door is about to open and the battle is set to begin. Our opponent is the one who keeps us from living life purely for God. That opponent is often ourselves! Let's remember that our goal is to live life purely for love of God. This would be a joyous and glorious victory! But, it may hurt a little to get there. As we prepare to storm the beaches, I'm grateful for those who do so with me. Recently while conversing with someone a heavy sadness came upon me that I couldn't shake. The person mentioned to me various factions and power struggles that exist among the clergy. It is that ugly side of the Church where politics, ideology, and careerism fester and bring with them the poisons of gossip, cynicism, and rivalry. I've done my share of these things, so I'm not setting myself above anybody else. But, I was really struck by how empty and sad the whole conversation left me. In contrast to this experience was the peaceful joy that I've experienced during the past 24 hours at the BU Catholic Center. 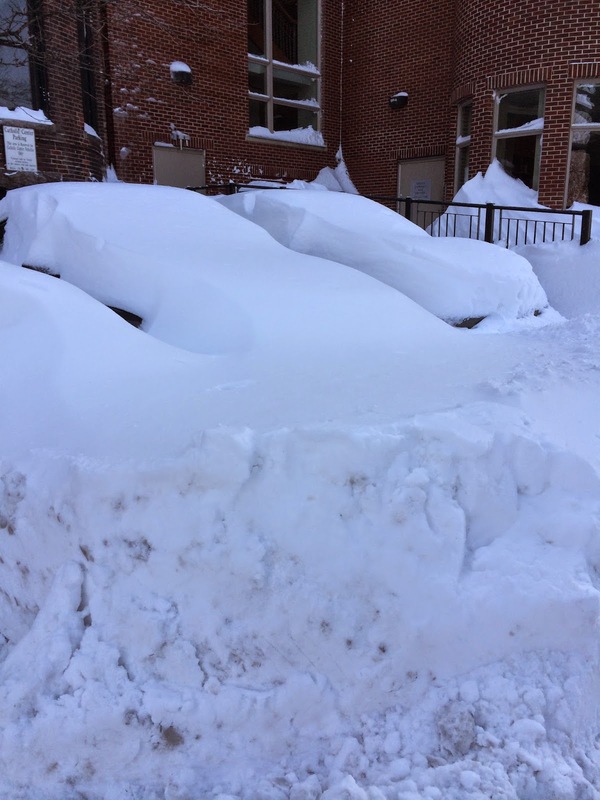 For the past month, Boston has had one or two major snowstorms a week. 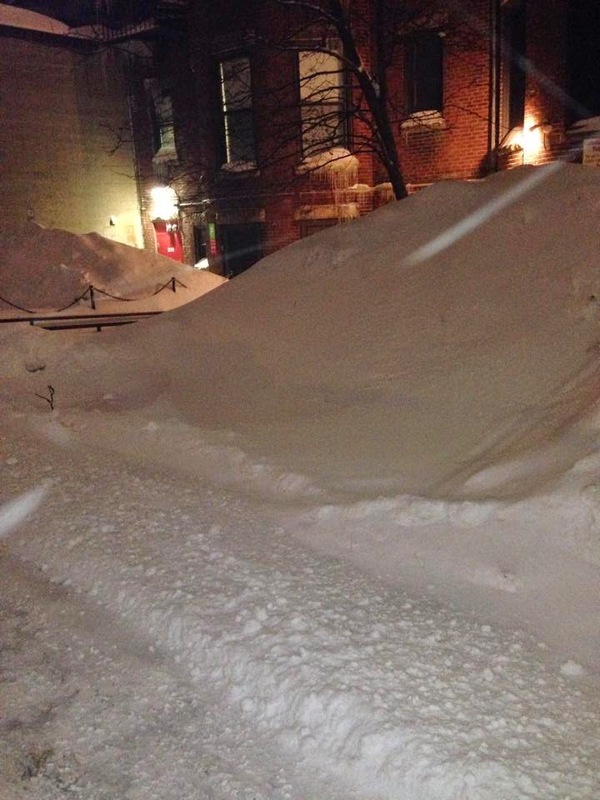 Last night and today a blizzard dropped another foot of snow on the 75 inches of snow already piled up around the city! Because today is Sunday, I decided that I would camp out at the Catholic Center last night so that I could be here today for Masses. Yesterday morning I went shopping, bought food, and then cooked dinner for a few students last night. We leisurely ate dinner and conversed about all sorts of topics. After dinner, one of our interns arrived so that he too could be here for everything that was happening on Sunday. After dinner, we hung out and watched a movie. This morning, after a healthy breakfast of bacon and eggs, we opened up and welcomed a group of students who are part of the retreat planning team. Today was our last meeting before the retreat next weekend. The whole team showed up for the 10am meeting (pretty good for a Sunday morning on a college campus), walking through what the news is calling "a snow hurricane." After the meeting, we all went over to our first Sunday Mass of the day where approximately 75 students attended. I was edified that these kids made the effort. They're living in a culture that doesn't place much emphasis at all on worshipping God, so it is impressive to me that they fought the elements and came to Mass. (Obviously, there were people who couldn't get to Mass today because of the weather. I'm not suggesting that they should have come. I'm just saying that I'm impressed by the commitment of these young people). In all of this (despite the fact that I despise winter more and more), my heart was filled with a tranquil joy. In my experience with them during the past twenty-four hours, my heart has been moved toward Christ and toward a greater love for the Church. In our approach to the Church, we often emphasize what is of little consequence and we become dismissive of what is at the heart of the Church and at the heart of the Gospel. Priests (of whom I am one!) are often the worst offenders. We sometimes place way too much emphasis on what happens in diocesan and Vatican offices and in the power struggles--local and universal--that exist within the Church. The more priests act like this--even if the people don't see it--the more "important" these things become. But, in reality, these things are not ultimately what's important in the life of the Church. Here, I can only speak of my experience. What saves my priesthood on a daily basis and what saves my Catholic life is all of the seemingly "unimportant" stuff. 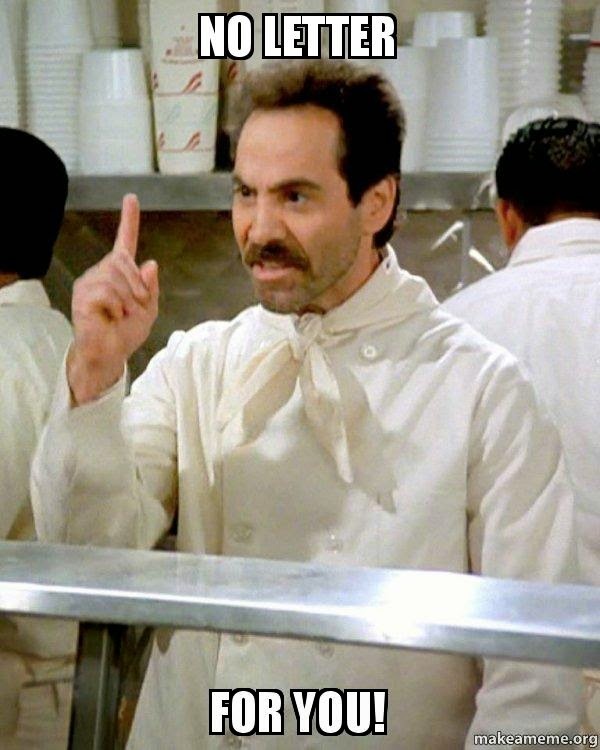 It's seeing Facebook posts by other college chaplains that I know who are being a father to their students. It's seeing brother priests who banter back and forth on Facebook with their parishioners. It's in living close to lay people who live the Catholic life in the midst of the world. It's having a meal, watching a movie, shoveling (or today, watching other people shovel! ), or joking around with the kids at the Catholic Center. It's hearing the words, "Hey Padre." What attaches me more to the Church and to Christ is the experience of living the Catholic life close to others. We speak a lot these days about evangelization, but I always feel that I need firstly to speak about how I am evangelized. I come face to face with the joy of the Gospel in and through the encounter with other disciples. I am evangelized daily through the encounter with those with whom I live and work. They awaken within me the newness of life in Christ and, through their companionship, they strengthen my attachment to Christ and to His Church. In St. Matthew's Gospel, we are told that the Magi, having been warned in a dream not to return to Herod, "went home by a different route." In other words, instead of confronting Herod on his own turf, they simply went around him. There is a temptation in the life of the Church to fight against ecclesiastical politics by using . . . ecclesiastical politics. The Magi, however, show us a different way. They went home by a different route. Herod's power was minimized by the Magi's decision to go home by means of a different road. Among the things that I think Pope Francis is trying to accomplish in the life of the Church is to circumvent the spirit of Herod. In his emphasis on reaching out to the peripheries, the Holy Father is saying that what matters most is not what happens in the palace of Herod, but what happens in the "unimportant" places. 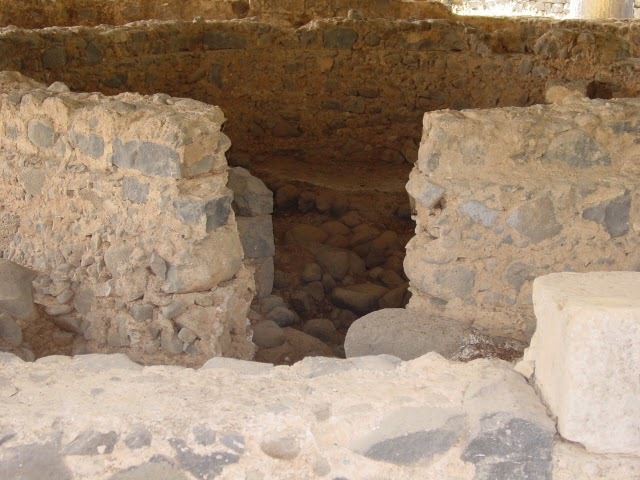 It's what happened at a well in Samaria that is important. It's what happened at Peter's house in Capernaum that's important. It's what happened to a leper who approached Jesus that's important. It's what happens in parish churches, Newman Centers, prisons, hospitals, and homeless shelters that's important. It is in these places that Christ is encountered and the joy of the Gospel is experienced. So many blogs and commentaries on the life of the Church focus on Church politics. But does talking about these things draw people closer to the Church and to Christ? When we focus too much on Church politics (of which there is plenty), we make Church politics important. Instead, we ought to act like the Magi and go home by a different way. In the new life of the Gospel, Herod' palace is of no significance. What is of central importance is encountering Christ in and through the life of the Church. Herod's palace is a place filled with emptiness. If we take the road to Herod's palace, we too become empty. The other route--the route of encounter--fills us with the joy of the Gospel. This is the road that saves me. This morning, I attended a funeral at the parish where I was assigned for thirteen years. For all of those thirteen years, the front pew at the 7am Mass was occupied by Henry and Phyllis Sullivan. In an age when rational argumentation does not always seem to be particularly persuasive in winning people over to the Gospel and to the Church, people like Henry and Phyllis are all the more vital. Truth to be told, however, I doubt that Henry and Phyllis would ever have considered themselves to be evangelists or anything special for that matter. But for me, when you look at Henry and Phyllis, you are confronted with the truth about marriage, love, faith, the sacraments, the Gospel, the Church . . . everything that matters. Henry's and Phyllis' just don't happen by coincidence and they are not just the result of good genes. They are the result of grace. Let me tell you a bit about them. I learned today that they met at a dance and began courting one another. Their courtship, however, was interrupted when Henry shipped out with the Navy on the USS Sullivan (also his last name) to serve in the Second World War. When he came home, they wed and began their family. I only met them much later in their life, in their retirement. Every day of their retirement began in the front pew of St. Mary Star of the Sea Church in Beverly. When I first came to the parish, they would travel south for the winter, but at a certain point, age made it impossible for them to travel anymore. I told them that I was happy that they couldn't leave for the winter anymore because I missed them too much when they were gone. One thing that was clear when you looked at Henry and Phyllis is that they absolutely loved one another. I mean they had love written all over their faces. A few years ago, Phyllis was ill and couldn't come to Mass so I stopped by to visit them. When I visited their apartment, Henry was out for a moment and hadn't brought his keys with him. So, in the middle of my conversation with Phyllis, there was a knock at the door. Phyllis went to the door and said, "You can only come in if you're handsome." She opened the door, looked at Henry, and said, "Well, you can definitely come in." They loved each other. Today, having spent 68 years loving, honoring, and cherishing his bride, Henry sat in his pew without her. There was nobody in that church who probably ever remembered Henry and Phyllis not being together. Phyllis was 93 when the Lord called her home. The present pastor of the parish gave a beautiful homily about Phyllis, but it was impossible for him to speak of her without speaking of Henry. Truly, the two had become one. Their love--a love shaped and bonded by the Sacrament of Marriage--defined who they were as persons. Why should we devoutly receive the sacraments? Why is marriage about a man and a woman in a life-long union, open to new life? Why is Faith important? Why are the marriage vows important? Why is forgiveness, mercy, and charity important? What's the value of daily Mass? There are excellent arguments to defend and explain all of these things. But, those who attended daily Mass at St. Mary's all of these years didn't need those arguments. In the front pew was Phyllis and her husband of 68 years. When you look at them, you are compelled to say, "Everything that the Catholic Church teaches is true!" I feel confident in saying that the world needs more Henry's and Phyllis'. I am confident in saying that because I know that I need more Henry and Phyllis'. When the Lord sent out his disciples, he sent them two by two. I've always thought that the reason the Lord did this is so that others could see the way that the two disciples loved one another and this love would be attractive and convincing. Henry and Phyllis' love was attractive and convincing. I needed to come out of the sacristy every morning and see them there together in their pew. Their witness was a daily proclamation of God's love. It would take a violent act of one's will to look at them and deny the power of grace and the beauty of the Gospel. Their beautiful witness and example points all of us to what is possible when we live the life of grace. The Catholic life--the truly Catholic life--is what it's all about. None of us, as I said, can really think about Henry without thinking about Phyllis. Seeing Henry there without the love of his life at his side was heartbreaking for all of us. But, Henry is a man of Faith. He knows that--like all of us--he too will be called to the House of the Father. When he knocks upon the door of the Father's House, I've no doubt that from the inside, a beautiful woman with a twinkle in her eye and a magnificent smile will say, "You can only come in if you're handsome." Quite often in the gospels, there are lines that don't seem particularly poignant or critical to the story, but are the most moving for me. For instance, when St. Matthew concludes the account of the Magi, he says, "They went home by a different route." That line has often been a source of meditation for me. Or, when Judas leaves the Last Supper and St. John solemnly notes, "And, it was night." Or, when St. John records that "It was about four o'clock in the afternoon" when Andrew and he followed Christ. In those few words, St. John makes his encounter with Christ not just a vague notion, but rather a fact that happened. Similarly, when I visited the Holy Land a couple of years ago, I was surprised by what places actually moved me most. One of the places that most moved me would not appear on a "top ten must see" list in the Holy Land. In Capernaum, a short walk from the remnants of the synagogue there, are some ruins of a first century house. Surrounding those ruins are the ruins of two early churches that were built over that site. There is high certitude that these ruins are the home of St. Peter. The threshold of the doorway from the original house is still there. It is this threshold that is described in the Gospel that we heard this past Sunday at Mass. The Gospel of St. Mark records for us about that house, "The whole town was gathered at the door." Why were they there? They were there because people had witnessed Jesus earlier in the day cast out a demon from a man in the synagogue. Then, Jesus came to Peter's house and healed Peter's mother-in-law. People saw and experienced the powerful works of Christ and were talking about him. Naturally, when others heard of this, they wanted to get close to Jesus. The whole town was gathered at the door. This is what I found so moving about this piece of rock in Capernaum. It was there that a whole town of people stood with longing and expectation to be healed by Christ, to be touched by his power, to be freed from their afflictions. The whole town was gathered at the door. A few passages later, Peter will speak words that were far more profound than he ever realized at the time. Jesus had gone off by himself for some time to pray. Peter and the others go looking for Jesus and when they find him, Peter says something so beautiful! "Everyone is looking for you." Yes, everyone is looking for Jesus! Whether they know it or not, whether they can articulate it or not, everyone is looking for Jesus. Everyone is looking for healing. Everyone is looking for true and lasting happiness. Everyone wants to be freed from the slavery of sin and death. Everyone is looking to experience the power of God. Everyone is looking for Jesus. The reason that the whole town was gathered at the door of Peter is because word had spread about the mighty deeds of Jesus. When people heard that others had experienced healing and freedom through the power of Christ, they went looking for him. They arrived at the house of Peter. Do we realize that everyone in the world desires to be healed and set free? If so, then we should share with them our experience of the power of Christ. How has he touched my life? How has he set me free? How has he healed what is wounded in me? The more we bear witness to the power of Christ in our own life, the more others will arrive at the door of Peter and ask Jesus to do the same for them. When I read and meditate on this particular gospel passage, I imagine myself standing at the door of Peter's house and gathered with me is not just the whole town, but the whole world. Everyone is standing there looking for healing. Sometimes, people are afraid to approach Peter's house--the Church--because they are not worthy, not fit, or not holy enough. They hesitate to go to Peter's house because they feel unclean, under the influence of demonic powers, or enslaved by sin. St. Mark makes clear in his gospel that this is precisely who belongs at the house of Peter. The whole town was gathered at the door. Everyone of them needed healing. "Everyone is looking for you." Yes, everyone is looking for Jesus. Everyone is looking to experience the power of his healing. Perhaps, as we live this week, we can do so in solidarity. Let us imagine ourselves standing at the door of Peter with the whole town. We stand there together, each in need of healing of some sort or another. None of us is a mere spectator. No, we are at the threshold of Peter's house because we are all in need of Christ's power. But, it is not enough just to go to Peter's house and encounter Jesus. At the end of this week's Gospel, once Peter declares, "Everyone is looking for you," Jesus says, "Let us go on to the nearby villages." The good news is meant to be shared. The whole world is looking for Jesus. You can help them find him. 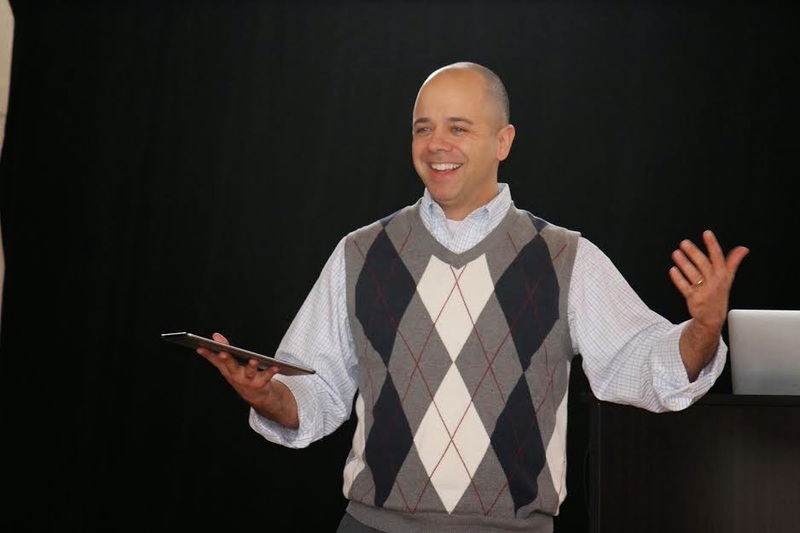 For the past two years, I have worked as a chaplain at Boston University. During that time, through the generous volunteer work of a married lay couple and a young Jesuit scholastic, numerous young people have joined our RCIA program and have or will be baptized and received into the Catholic Church. A few months ago, a young man who was raised atheist walked into the chapel at Sunday Mass. One of our FOCUS missionaries struck up a conversation with him and the young man expressed interest in learning about Jesus and the Catholic Church. Since then, he's joined us for various events and has drawn closer to the Church. While examples like this are awesome, one thing that has really struck me during the past two years is that the vast majority of the young people who come to Sunday Mass at BU and who participate in the life of our Newman Center were raised in solid, good, and strong Catholic parishes and families. They sought out our community because they arrived here well-formed by you and your parishes. They know Jesus. They know how to pray. They love the sacraments. They know how to love one another. They are striving to follow Christ as disciples. Honestly, I am blown away by the formation that these young people have received. While we are constantly seeking to reach out and to draw others to Christ, I can say that the bulk of our community are those who came to us well-formed in the Gospel. Our strength at the BU Catholic Center is mainly the result of strong Catholic families and strong Catholic parishes. You sent us some amazing young people. My hope is that we can return the favor and send back to you some even better formed disciples! In the old days, people always said that young people who left the Church would eventually come back when it was time to get married and raise a family. That no longer holds true. Now the statistics show that once they're gone, they're gone. We at the BU Catholic Center do our best to keep them close to Christ and the Church, but we are able to do that because you did such awesome work to form them in the first place. I sometimes ask the kids, "How did you get like this?" What I mean by that is, "How is it possible that in this present culture, you are so strong in your faith?" In large part, I know that the answer to that question is because they come from good Catholic families and from good Catholic parishes. I know that it's because of your work that these kids arrived at college and sought out the Catholic community. Their strong faith, devotion, and missionary zeal is a result of the formation provided to them in your parish. Thank you! There's no doubt that the numbers of young people seeking out the Catholic Center here and in other places are much fewer than they were ten, twenty, or thirty years ago. I wish that wasn't the case, but it is. At the same time, the young people who arrive today are really a miracle! They come not because it is the cultural norm. They come because of a profound love for Christ and His Church and with missionary zeal. "But how are they to call on one in whom they have not believed? And how are they to believe in one of whom they have never heard? And how are they to hear without someone to proclaim him?" (Romans 10:14). The awesome and well-formed young people that you send to us are the one's who draw others on campus to Christ. For what it's worth, I appreciate your priestly work and efforts. The parish priests from all over the United States who are sending us these great kids are doing something right. If you are a parish priest who is forming young people to love the sacraments, to worship God at Mass, to go to adoration, to carefully examine their consciences and to frequent confession, to pray, to love Jesus and to follow him, to love their brothers and sisters and especially the outcast, and to zealously share the Gospel with others, then don't ever get discouraged! Those are the kids who show up at the Catholic Center when they go off to college. They're here--in large part--because of you. They're living the Catholic life and sharing the joy of the Gospel with others because of your ministry. Thanks for being a good priest! 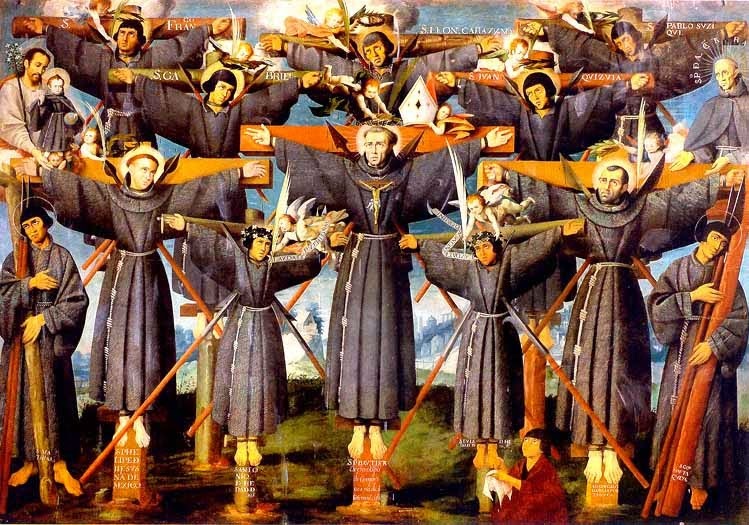 On February 5, 1597 Paul Miki, a young Jesuit scholastic and twenty-five companions were crucified in Nagasaki, Japan. Every year on their feast day--February 6th--I am struck by the account of their martyrdom. Witnesses testify that the twenty-six martyrs prayed continuously during their sufferings, forgiving their torturers, praying for their conversion, praising God, and encouraging their fellow Catholics. The line that most strikes me from their martyrology is this: "Joy glowed in all their faces." In the midst of what appeared to be total failure, "joy glowed in all their faces." In the Gospel today, we heard St. Mark's account of the martyrdom of St. John the Baptist. Imagine the world in which St. John was living. The person entrusted with civil authority was a buffoon. John the Baptist preached to Herod about the immorality of his marriage to his brother's wife. Because of this, Herod imprisoned him. John must have looked around and wondered how things could get so bad. In the palace of Herod, debauchery was rampant. Herod and all of his sycophants are in a drunken stupor. Things have become so weird and twisted that Herod's daughter comes into the banquet and dances as entertainment for the guests. This scene always makes me squirm. Things are so perverted in Herod's life that he has his daughter dancing for a bunch of drunkards. But, if things are not twisted enough, the young girl is promised by Herod anything she wants. She goes and asks Herodias--Herod's illicit wife--what she should ask for. She answers immediately, "The head of John the Baptist on a platter." What a family. This was what John the Baptist was up against. These were the people running the country. In the midst of this, perhaps John the Baptist at times was tempted to think, "What's the point of trying to change things?" There are times when things seem so far gone, it can seem clinging to the truth is going to accomplish nothing. Clinging to the truth can seem kind of pointless. In fact, when you consider how absurd life can be at times it is easy to allow yourself to get discouraged. John the Baptist was beheaded because a drunken king made a promise to his daughter whom he just had dance for a bunch of drunken men and the daughter's mother thought a good payment would be a platter with John the Baptist's head on it. Totally absurd. John the Baptist knew that things were out of control. He looked around and saw that the situation was growing darker. He could have shrugged his shoulders and said, "There's no way that these idiots are ever going to change." Instead, John the Baptist remained constant in his proclamation of the truth. Even if it would appear to many that he failed in his mission, John the Baptist testified to the truth with his last breath. At a moment in history when the Catholic Church's influence on western culture is waning, it can be tempting to cave in to the dominant culture. It can also be tempting to become angry, discouraged, or silent. I think of the students on my campus at Boston University. Many of the Catholic students convey to me that in their classes they are often made to feel stupid or part of some archaic belief system. It's not even a matter of being a minority in a debate about moral issues. More often than not, many of their professors simply presume--for instance--that every right thinking person knows abortion is great and that no intelligent person would think otherwise. Catholic students can feel very alone. In the face of overwhelming opposition, it can be all too easy to give up. But, Paul Miki and his companions didn't give up. More than that, in the face of the opposition of an empire, their faces glowed with joy. How does this happen? It happened because Paul Miki and his companions possessed the virtue of constancy. John the Baptist possessed the virtue of constancy. Despite all of the obstacles that threatened to wear them down, Paul Miki and his companions remained constant in their adherence to the truth and they pushed forward. In fact, the more their torments increased, the more their faces glowed with joy. The more they endured the Cross (and in their instance, they literally endured the cross), the more they preached the Gospel of Joy. Their sufferings did not embitter them or discourage them. Their apparent worldly failures did not break them. Had they only softened their preaching, been less public about their faith, or been more willing to accommodate the culture and the powers of government, then perhaps they would have been more accepted by the prevailing forces. Instead, they remained constant in their faith and this constancy saw them through to victory. No, not a worldly victory, but the only victory that ultimately matters: the victory of remaining in Christ. From a worldly perspective, the martyrs are failures. They preached, were rejected, and died. But, for the Church, the martyr is victorious because victory is not defined as how many people agree with you or applaud you. Victory is gained by adhering to Christ, carrying the Cross, and bearing witness to him until the end. The psalm today was very beautiful and very fitting for today's feast. These words from Psalm 27 could have been found on the lips of Paul Miki and his companions. "Though an army encamp against me, my heart will not fear; though war be waged upon me, even then will I trust" Without the virtue of constancy, we give up the fight in the face of so many obstacles. The noise from Herod's palace can seem to drown out the truth of the Gospel. It can appear that the people at Herod's party are all having a good time. After all, they're the one's having fun while John the Baptist is sitting in a dark cell by himself. Such obstacles could weigh one down. For the martyrs, however, these obstacles became stepping stones to glory. Herod's parties, I am sure, became more and more depraved. They could not provide true happiness and thus needed continuously to devolve. In just one party, drunkenness and lust were not enough to keep things going. They needed to add murder. But, for Paul Miki and his companions, their faces glowed with joy. In the midst of their sufferings, they possessed a joy that could not be taken from them. They were constant in their faith and persevered until the very end. Martyrs and saints are the model for the New Evangelization. The New Evangelization needs constancy in its missionaries (i.e., all of us). It needs Catholics who will not capitulate or grow discouraged in the face of obstacles. There is indeed an army encamped against the Church and her teachings and there is a war being waged. In the face of this, we can seem very small and weak. From a worldly perspective, we may not have the numerical success that we would like to have. Mother Theresa and her sisters, I am sure, never had the numerical success that the world would envision as successful. In the face of tremendous societal obstacles, they simply and joyfully remained constant. Are we prepared to appear like failures? To the world, John the Baptist and Paul Miki and his companions all appear to be failures. To the world, Dietrich Bonhoeffer--a Lutheran Minister who opposed Hitler and was killed in a concentration camp--appears to be a failure. The true test of one's Christianity is the willingness to follow Him to the Cross and to the appearance of failure. Paul Miki and his companions followed Christ to the Cross, and 418 years later we still recall that "joy glowed in all of their faces." Evangelization is hard work and there are many obstacles that stand in the way. May the Lord fill us with the virtue of constancy and may the joy of the Gospel glow in all of our faces. The Gospel for the Feast of the Presentation, provides to us the examples of Simeon and Anna. Both were of advanced age, but were awaiting the coming of the Savior. Simeon and Anna are models of patient endurance. Both of them were approaching the twilight of their life and it may have seemed unlikely that they would live to see the dawn of the New Creation. But each of them took up the task that was theirs. They were both found in the temple. They were faithful to prayer and fasting. They simply fulfilled their duties, day after day, trusting that the promises made by the Lord would come to pass. On the Feast of the Presentation, a poor family showed up at the temple. It is hardly what one would expect to be the dawning of a new age of grace. But, here we have Simeon and Anna rejoicing and announcing that God had fulfilled his promises. Simeon and Anna were able to recognize the dawn because they were prayerful people. They lived their life devoted to their prayers. Because they were close to the Lord in prayer, they were able to discern his dawning among us--even though he arrived in a most unlikely manner. At a moment in time when the Church's influence on the culture is waning, when God is disappearing from man's horizon, and when the infrastructure of the Church's institutions are tottering, it can be easy to be discouraged by the darkness. So too, in the lives of so many people, they can feel as though the darkness only deepens. Unemployment, illness, strife, discord, and a thousand other burdens that affect people's lives can seem relentless and unyielding. This is why Simeon and Anna are so important! They were simply faithful to their calling. They were faithful to their prayers. And through this fidelity, they were able to recognize the presence of the Light that comes into the world. Instead of focusing our attention on the darkness that moves across the land and which places everything in its path in shadow, we must go to the Lord in prayer. It is through a life of fidelity to prayer that we are able to recognize the Light when he appears. He appears in the life of those who show up and say, "Father, do you have time to hear my confession?" He appears in the life of a couple who take their young children to Mass. He appears in the life of a woman who spends time each week visiting the sick. 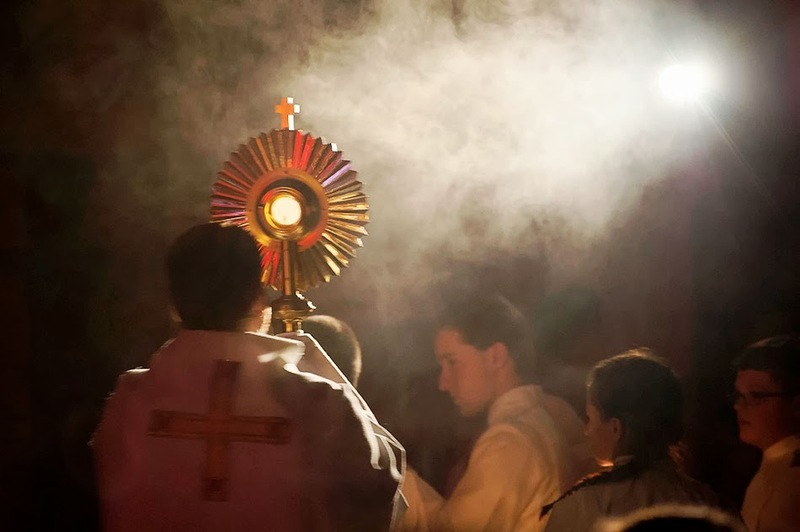 He appears in the life of young college students who come to pray at adoration. He appears in the life of a young man who is discerning a vocation to the priesthood. He appears in the lives of young people who give a year or two of their life in service to the Church. He appears in the lives of men and women who are humbly serving the Church in the work of the New Evangelization. He appears in the lives of Christians living their marriage vows and their consecrated vows. He appears in the lives of Christians living out the Corporal and Spiritual Works of Mercy. All around us, the dawn is breaking. Simeon and Anna give us hope. They show to us that if we are faithful to the temple--faithful to prayer--then the Light will be made manifest to us. If we focus only upon the darkness that surrounds us, we can miss the dawn. Simeon and Anna teach us to live a life of prayer. Prayer makes us able to see that the darkness is transitory. Sometimes, it can seem as though darkness were a permanent wall that impedes us from seeing the dawn. In prayer, we see that the darkness--no matter how long it endures--is passing. Prayer enables us to see through the darkness. Today's Feast of the Presentation beckons us all to live a life of prayer. Just as the Mary and Joseph carried the Light of the World into that place of prayer two thousand years ago, we can have confidence that they will also carry him into our prayer today. Please don't put me in the middle. I thought as a college chaplain I would, at last, be free from dreaded requests from prospective godparents to sign a letter of "good standing." Pastors get these requests all of the time, but as a college chaplain I thought I had been liberated from this particular torture. The requests, however, still come. And, it always puts me in an awkward position. Here's how it often works. Somebody either calls the priest or shows up. They say, "I have been asked to be the godparent for my friend's baby, but the parish requires me to have this letter signed by my priest saying that I'm in good standing." Inevitably, the baptism is "next Sunday and we need the letter today." The letter often asks me to testify that the person is a baptized and confirmed Catholic, (if applicable) married according to the laws of the Church, and attends Mass on Sundays. Nine times out of ten, I've never met the person asking me to sign the letter. I try to be polite. I try to make the person feel at ease. But eventually, I have to ask that very awkward question. "Honestly, I don't always recognize people, so maybe I just don't remember your face. Do you come here for Mass?" Now, we both feel awkward. "Well, I haven't been to church recently, but when I do go, I come here." I remember numerous times in my previous assignment having this discussion and it got really awkward when the person would say, "Well, I don't think I've been here since you came, but this is where I go. When did you arrive at this parish?" I'd get that pit in my stomach and I'd say, "Well, I came here thirteen years ago." Awkward silence. Then, the person would say, "Well, what if I promised that I would start coming to Mass more often?" While I would encourage the person, it ultimately would come down to me having to sign the paper. And, as gently as I would try to explain that I really couldn't testify to something that was untrue, the person would be upset with me (and the Church) for being so difficult. I hate those forms. Sometimes I would write on the form, "John Smith assures me that it is his intention to begin attending Mass." Then, I'd sign it. I figured that put the ball back in the court of the parish that put this person in front of me in the first place. From what I can tell, no parish ever rejected somebody as a godparent when I wrote that line on the form. But, parishes that require this form (in that particular format) put priests in a very poor situation. The priest either has to testify to something that is untrue or he has to refuse to sign it. Neither option is particularly helpful. We often talk about baptisms, confirmations, first communions, marriages, and funerals as evangelization opportunities. But, these letters don't help. I wish priests wouldn't put me in this situation. If the goal is to get godparents at least to meet a priest, then re-write the forms. Just ask the priest to be a witness to what the godparent testifies to be true. In other words, make the prospective godparent sign a letter saying "All of this is true." Then, just ask the parish priest to sign saying, "John Smith testified in my presence that the above is true and accurate." But please don't make me be the godparent police. If parishes are really concerned about the quality of godparents, perhaps they should ask the prospective godparents to write a letter talking about their faith. Or, maybe the godparent could meet with the parish priest where the baptism will take place or with a member of the baptism preparation team, either live or via Skype. Perhaps the parish could send a letter to the person with a description of what it means to be a good godparent and then ask the person to write a letter explaining how they either fit that description or intend to begin living up to that description. If baptisms are indeed a key moment to reach out to Catholics who aren't practicing the Faith, the "Letter of Good Standing for Godparents" just isn't a good way to do it. Making the priest the one who either approves or disapproves of this godparent is a recipe for alienation. It's one of those small things that has a big impact. I bet there are some parishes that are doing great things to help prospective godparents reengage their faith. I'd be curious to know what others have found fruitful. In the meantime, if you're a priest, please, please, please stop sending prospective godparents to me with those letters! They don't like it and neither do I!